The great thing about being a freelance writer from home is that you have a way to bring in some money (or even make a full-time living) while still being able to focus on your family and its priorities. I love being a blogger for hire because it offers at-home moms a legitimate way to make money from home. There’s a low barrier to entry (meaning it’s easy to get started) and it opens the door for all kinds of amazing opportunities. Getting started is the hard part. But once you’ve got something seriously cooking in the computer kitchen, it can be easy to sort of… plateau. I’m no stranger to plateaus, stalls, and even major setbacks. I know first-hand that failing to grow has nothing to do with how much I take my work seriously. It’s just that when you have a steady flow of work, it can be easy to wonder what the next step is… and then do nothing more than wonder. One of the good things about being in a regular writing habit is that your skills will naturally improve. You’ll find yourself reading some of your old stuff and grimacing; you’ll definitely find yourself reading stuff on big-name sites and wondering how on earth that writer managed to get published there. Writing blog posts will come more quickly and feel more natural. All in all, things are humming along and you’re growing by default. You’ll have a good intrinsic sense of what works and what doesn’t, your workflow will have all the kinks smoothed, and you’ll even be able to onboard clients more efficiently. There’s a confidence that comes with doing this for a while, and it’s a pretty sweet spot to be in. But, as you almost definitely know, there’s more to growing than just getting better with time. So how do you take charge and really work at making yourself a better freelance writer, when everything you’re doing is focused on your clients and what they need? This seems like an odd thing to put at the top of a list of things to improve for freelance writers, but hear me out. When you’re a freelancing blogger for hire, chances are good that the vast majority, if not all, of your work will be conducted over the internet. Some clients are used to this and think nothing of it. But some clients are a little bit nervous about working with someone who may or may not be a “real person.” That’s why your clips and testimonials are so important — they support the idea that you deliver what you say you will, and that you won’t leave somebody high and dry. For the clients who are maybe a little nervous about working with you for some reason or other — whether they’re new on the scene, they’ve got a lot of money on the line, or whatever — the absolute best thing you can do is communicate. Make your emails natural. Send updates when it makes sense. Check in if you haven’t heard back in a while. When you can communicate effectively, you’re doing a favor for yourself and your clients. You get clear on what the expectations are; you’re up front about what you’ll offer and when; and the client can feel confident that you aren’t going to take their money and run… or give them a bunch of garbage and then take their money and run. This isn’t the kind of thing that’s critical for every single client, but there are some clients and some projects (especially big ones) when it’s going to be very important. 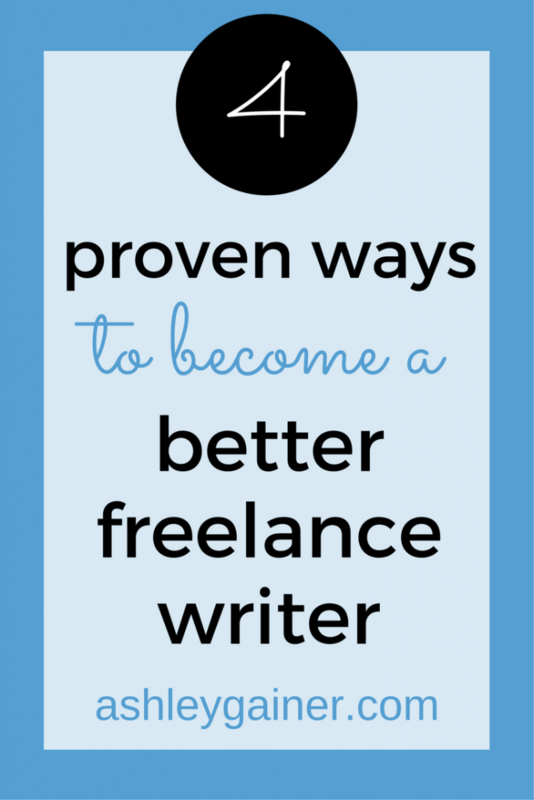 Think about what sets you apart as a freelance writer. There’s always something you can use to make yourself stand out. What special skills experience, or understanding do you bring to the table? Why should someone pick you instead of someone else? “I’m the right person for the job because _______” ←- fill in that blank, and you’ve got the first iteration of your marketing message down. Your marketing message will change over time (and I recommend testing it in the pitches you send to see what gets the best response rates). But for now, come up with the thing that sets you apart, and make it really, really obvious on your website and other marketing channels. Speaking of marketing channels… . You’ll see people telling you left and right that you HAVE to be on Twitter and you HAVE to be on Facebook and you HAVE to be interacting in groups and you HAVE to have a great LinkedIn profile and you HAVE to be on Pinterest and a million other things. Hear this: you do not have to be in all of those places. You don’t even necessarily have to be in any of those places. But you do have to be somewhere. The right marketing mix for you will be different from the right one for me, and they’ll both be different from the gal down the street or the one across the country. The most important thing is to pick a channel that you will actually use. I’m marketing on Pinterest right now because that’s a channel I love to use personally, and it’s a really interesting (and fairly effective) way to promote my business, even if I’m not doing it “well” yet. I’m on Facebook a tiny bit, but I don’t put much energy into a Facebook page because… I don’t care much. But I do participate in some groups, and that’s been a good way to market myself and keep up with what some of my clients (and lots of my colleagues) are doing. So what about you? Think about the types of things you’ll actually use, and work up a strategy for those. If you won’t actually use it, there’s absolutely no sense in putting together a marketing strategy for Twitter (for example). I recommend you start with one platform and go from there. One of the best, fastest, and most effective ways to grow as a writer is to get feedback on what you’re writing. 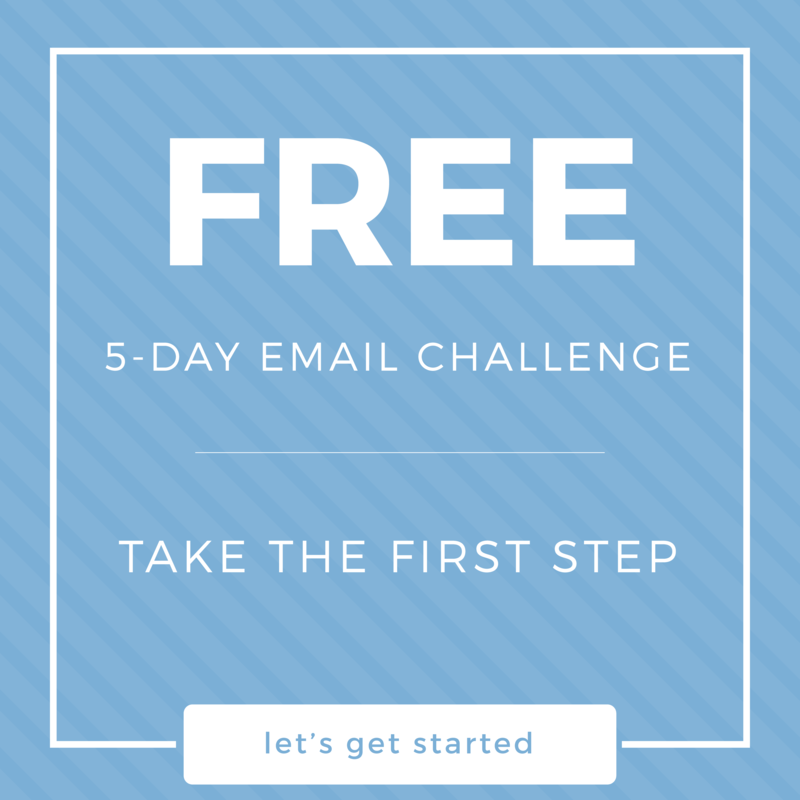 Whether you’re getting input from a client, from a colleague, or even someone you hire to give you feedback (*ahem* like me), knowing what’s working and what doesn’t work will help you skyrocket your improvement the next time you sit down to write. You’ll get an up-close view of what you do well, where you could improve, what changes are being made, and more. You might even get valuable insights into what your client needs and wants, which will mean you can start delivering content that’s so great they won’t ever want to be without you, and they won’t bat an eye when it’s time to raise your rates. In short, the more feedback you can get, the better you’ll become as a writer, and faster. 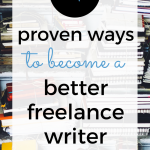 While it’s entirely possible that you’ll spend a long, satisfying freelance writing career producing great blog posts, getting paid, and then producing more…. there’s also a good chance that you’ll eventually start wanting more from your writing business. 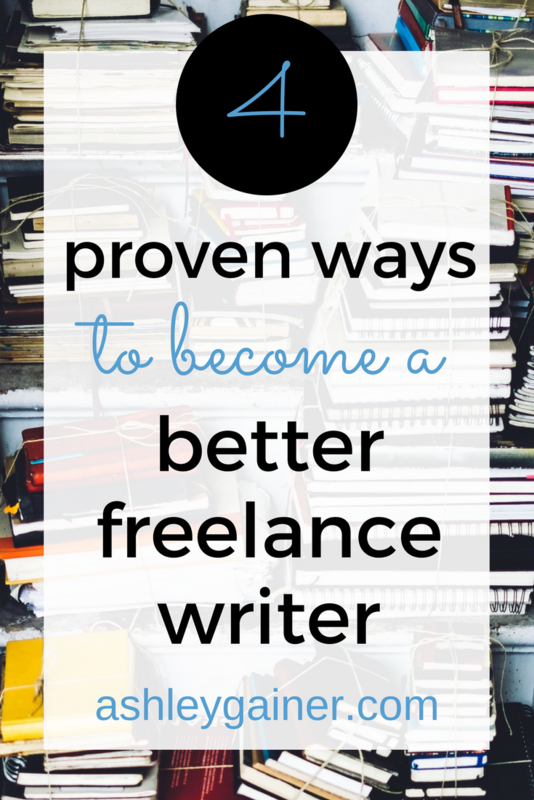 Maybe you’ll want to branch into other forms of freelance writing beyond blogging. Maybe you want to start adding additional writing services to go along with your blog posts, like social media updates or even content upgrades. Or maybe you really get into what makes a great blog post, why it’s such a valuable marketing tool, and how to leverage it well — and you move into content marketing, content strategy, and more. The horizons are endless, and there’s no end to what you can do once you’re open to new opportunities. But if you never grasp the “business side” of what you’re doing — and of what your clients are trying to do — you’re going to come up short. Maybe even way short. You have to learn how to run your own business well. This comes in part with trial and error and observation of your peers, but it also comes with careful management of your (limited) resources, especially the king of limited resources: time. Ultimately, anybody who’s going to hire you to do anything is doing so with a particular outcome in mind (and usually the outcome is tied to money). Your goal should be to figure out how what you’re offering is connected to the bottom line. Once you understand how the business works, you’ll have a good idea of how any writing assignment you do (or propose) will fit into the grand scheme of the business goals. That is something that can set you apart as a writer and make you a true asset to any business… including your own! Since 2010, businesses and entrepreneurs have turned to me for stronger copy, deeper customer relationships, and great blog content. 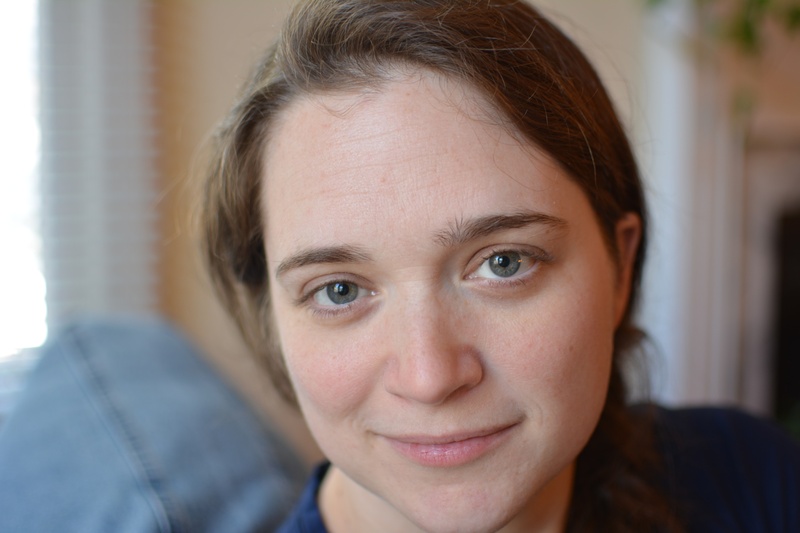 Want to be a freelance writer for hire and build your own writing business around your kids? You can learn how to do that here, too. Please don't hesitate to get in touch. I can't wait to meet you!